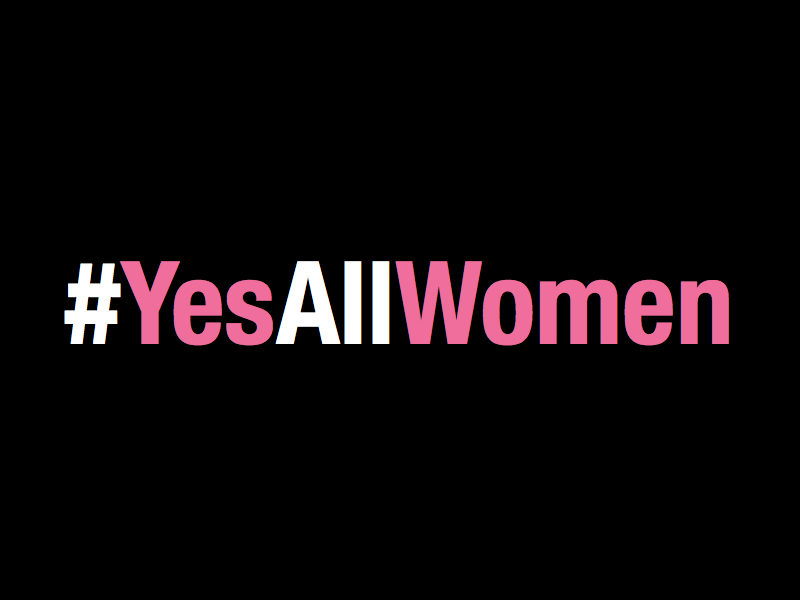 The week before I left for New York to witness my daughter getting married in Central Park and attend the Personal Democracy Forum, I was struck by the #YesAllWomen Twitter hashtag campaign that highlighted stories of misogyny and violence against women. I wrote about it on this blog. It was essentially the SCALE of the problem that got me started thinking about big data. I was introduced to big data concepts by my old boss, Erik Huddleston. Erik is now CEO at Trendkite here in Austin. I had in the back of my mind an idea that big data could be leveraged somehow to solve the intractable problems that continue to plague society in the form of family abuse. I had begun talking to people in the field about working in this area. As a survivor (I prefer the word “escapee”) of domestic violence, I have always been interested in developments in the field. As an aside, women who’ve left and are successful generally don’t reveal they were once in an abusive relationship. Society still brands these women weak, less-than, and of questionable character. It’s disgraceful, yet I can see easily how women don’t want to be associated with that stigma. Nonetheless, I’ve paid attention to developments in the field of domestic violence, but never really saw anything that was truly break-through. After I’d spoken to a few more experts in the field, I asked Erik to meet with me to discuss whether this might be an area where big data/data science could make some headway. We met for drinks on August 13, 2014. It was Erik that flipped the focus for me. He loved the idea, but said to focus on the offenders. The more I thought about it, I realized he was onto a big idea. If one out of every four women experiences violence in her lifetime, then the numbers are equally staggering on the flip side of that equation. You might even say that 1 out of every 4 men is then a violent abuser. My sense is that’s probably not true. One repeat offender will go on to abuse many women in his lifetime. But, who are these offenders? What are the patterns in the data? What can we learn about these men? How can we use this data to inform law enforcement, the courts, legislators? Further, in the meetings and interviews I had with domestic violence experts, two things became increasingly clear: 1.) there was not enough evidence-based outcomes data available to satisfy funding source donors and 2.) most attempts to rehabilitate or identify repeat offenders have failed. Hence, Big Mountain Data, became a thing. Of course, this was good for Big Mountain Data too. I immediately seized upon a big data-inspired idea and built a world-class team for a project that will have great implications in the field if we secure a sponsor for it. Hopefully, this sponsor will be the NFL, but any sponsor is welcome. So, we have our first project that is still progressing as I write this. I’m particularly pleased to be working on this business with my talented daughter, Lisa. We both have a long history with the ravages of what domestic violence can do to a family. It’s difficult for both of us to work on this, but what we lack in expertise in the field, we possess in first-hand experience which maybe trumps degrees and certifications. As I like to say, we have skin in the game. My sense is there are already mountains and mountains of data collected in the intimate partner violence (IPV) and abuse field. In my research, I’ve seen a lot of this data locked up in PDFs and reports that get distributed around the field, but I’ve not seen an open data source where all interested parties could have access to data files in many formats for reuse and remix. If I learned anything at the Personal Democracy Forum, it’s that civic hackers need to have easy access to data in standard formats to do their magic. As it turns out, there is a conference in Utah called, you guessed it, Big Mountain Data Conference. It draws scores of data scientists and developers, so I’m hopeful I can make a connection there and find some recruits to work on our projects. I’ve also reached out to Bayes Impact, an awesome data science for social good YC startup that does exceptional work for a great price. I was fortunate to buy the company domain from Jon Clayton, an Internet solutions provider, who now hosts www.bigmountaindata.com. I’ve also been in touch here in Austin with David Waldron who runs the ATX Hack for Change every summer as part of the Obama administration’s national day of civic hacking. Dave has been wonderfully supportive and encouraged me to submit a project for the next hackathon. I’ll also be attending SAP’s TechEd this month where I will be leaning on my SAP friends to see how I might be able to enlist some talent within SAP’s large civic hacker developer network. I have a couple projects in the works, including the project we are pitching to the NFL now. I’ve been spending a lot of time talking to, well, customers. Customers in this sense means organizations who’d be willing to pay for services where data science can solve a problem or provide unique insights. On my list have been women’s shelters, domestic violence experts, law enforcement, academics, and think tanks. I’m hoping now that I’m announcing what I’m up to, I can start reaching out to my contacts I have in the open data / opengov and civic hacking communities to understand the dynamics of working with them. So It’s a journey. A new chapter for me. I’m asking all my friends, fans, followers, even my hatrs to get behind this new venture and offer any assists you can within your networks or capabilities. I will probably try to get some startup social impact funding too as I get closer to identifying specific use cases for the business. So, any ideas along those lines or contacts is equally beneficial. To my friends whom I’ve already spoken to about this, including my amazing and heroic partners and members at Change Agents Worldwide, thank you so much for your support. I will do my best to make a difference in this new area. You can count on it. If you want to keep up to date on what I’m doing, I won’t be chronicling our progress on a blog. I’m going to use an email newsletter to send detailed updates on what we’re doing. Please subscribe if you’re interested in this work and our mission. I love the idea of tackling a big problem with big data. Go Susan! What a great ambition and a worthy cause. The approach reminds me of the Gapminder Ignorance project: In order to do something about a problem you must first measure it. Thanks Lars. Yes, I’m focused on “little data” at present. I’m researching the field and discovering which precincts, towns have been demonstrably successful in reducing domestic violence. One town in particular in North Carolina is way ahead in this regard. I’ve been collaborating with them on a few projects ideas to get greater visibility for their approach, as well as improve the dataset for more in-depth data collection. Fascinating work. I’m learning something new every day. Sign up for our newsletter (on http://www.bigmountaindata.com) if you want to keep up on what we’re doing. It’s good stuff. High-Performing Women Perform - Always. Susan on One Year Already?!! canesgirl88 on One Year Already?!! House Representative and UCF alumnae @annaforflorida working hard to restore the Arts budget in Tallahassee, among so many other wonderful things. May she forever reign. The Mouse and I are pondering what the hell is going on. Brilliant young writer from Karachi, Pakistan. #AkbarShahzad. He recently won the Salam Award for Imaginative Fiction. 🙏🏻 #burrowpress for bringing him to Orlando. #Granddaughter was making her own artistic statement today at the annual #winterparksidewalkartfestival. And, oh, the heat. Pro tip: if you’re going, bring cash. No drink stands take credit cards. Like NONE.